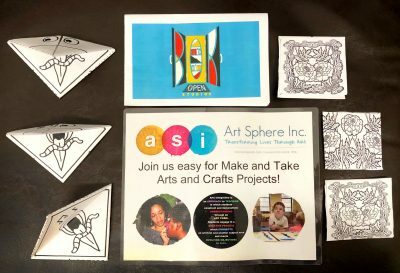 ASI Summer 2018 Newsletter | Art Sphere, Inc. Happy Summer ASI Enthusiasts, Supporters and Volunteers! 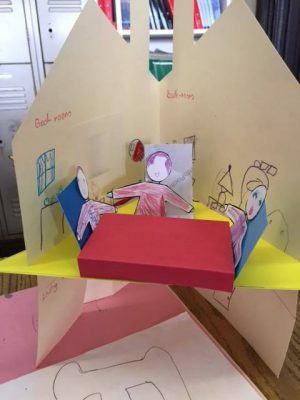 My name is Samantha Arndell and for my co-op, I have been volunteering at Art Sphere, Inc. as an Art Teacher in local elementary schools and recreation centers. 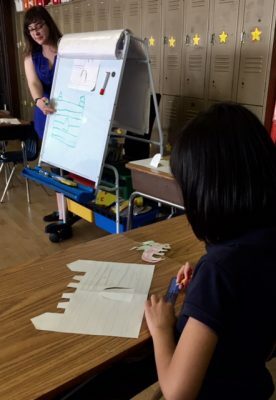 Working at Art Sphere has provided me the opportunity to experience a classroom environment and learn about teaching. The experiences I have had as an assistant teacher have given me invaluable insight into education as a profession, and especially the aspects of it that I find most challenging. When Art Sphere does not have any classes running, I also work in the office, making lesson plans and content for grants and Art Sphere’s blog. 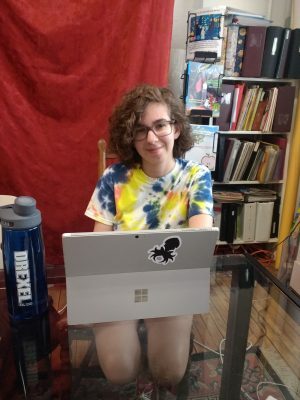 My name is Gabby Werner and I work as the office manager at Art Sphere Inc for my co-op. 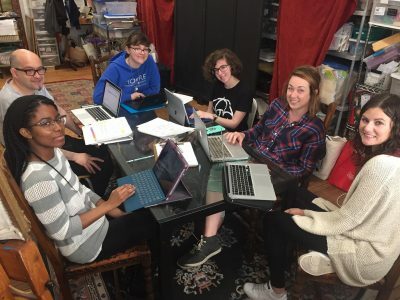 I’ve gradually taken on a lot of responsibility throughout my time here by managing volunteer onboarding and assisting in planning our summer program. I’ve been learning new skills all the time, even ones that I had no idea I’d gain experience in, like grant writing and lesson plan development. Working for a non-profit has shown me how significant every role in a company can be. My name is Brianna and I mainly work in the office at Art Sphere. There I prep art projects that are needed for the schools Art Sphere is affiliated with. Prepping can range from providing informative information of a project to organizing the materials for a project. One project was the dragons around the world project. I worked together with another co-worker to piece together a 3D paper castle. I also help organize the office materials like files, art supplies and folders to allow a clean working space. The files consist of potential projects or are records of projects that were already done. Keeping the art supplies in order allows for re-usability. Lastly, I reach out to potential partners or current partners regarding events. I take the initiative of inviting partners to learn more about the purpose Art Sphere serves for the community. 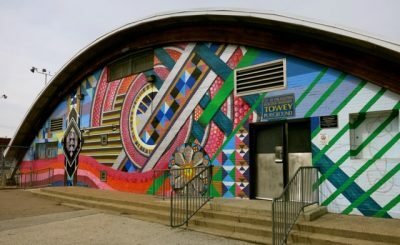 We are branching out in South Philadelphia to provide art programs in schools that will benefit the students there. We appreciate the commitment to community of Drexel University’s Graduate Admissions Enrollment Management & Student Success for donating fabric and volunteering on June 27th, and the Steinbright Career Development Center and the Lindy Center for Civic Engagement for providing dedicated interns and paid staff to assist us throughout the year. Planning Fun for the Fall Semesters! Our Fall classes will begin in September. If YOU or someone you know would like to volunteer with Art Sphere, we are always looking for passionate community members to join us! To volunteer, send completed release form to info@artsphere.org. ASI invites you to get creative with us this summer an First Sundays of every month! 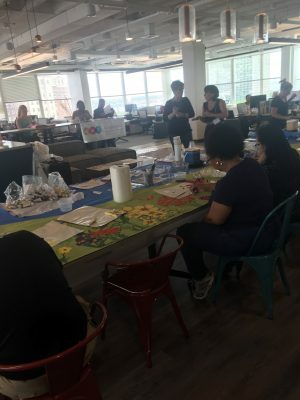 Join us for ASI Family Art Days at the rooftop BOK BAR in our building where participants can make art while getting inspired by an incredible view of the Philadelphia. All ages welcome July 1, August 5, September 2 from 2pm – 5pm, with a rain date for any missed sessions on Sunday, September 9. We are planning art projects specifically for 15-30, 4-7 year old’s though many of our projects are fun for everyone at any age! 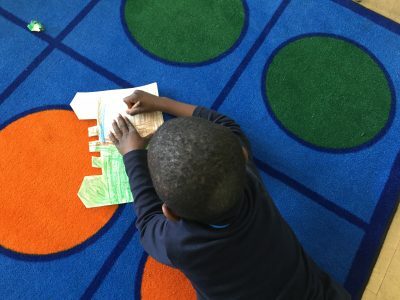 This spring, we taught ten classes with the migrant education aftercare program at Southwark school. 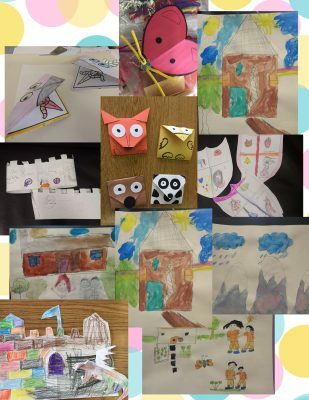 In our short time with these wonderful students in grades K-8, they took some big steps in practicing their English speaking and writing skills through art projects! ASI hosted Freedom Prep High School students on their Day of Service, April 27th for a Spring clean-up at Towey Recreation Center. 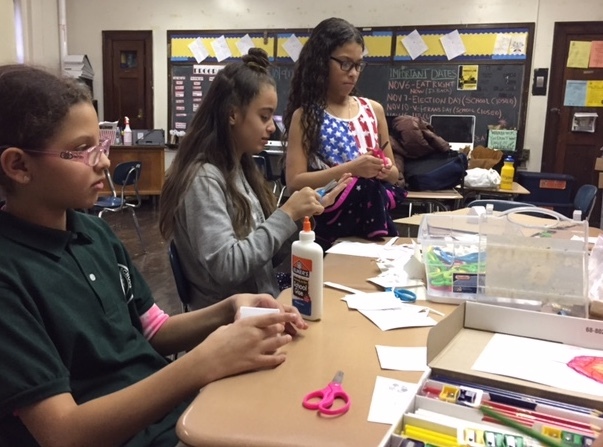 Sadly, we couldn’t stay outside because of the weather, so the students assisted in prepping art materials for our summer program instead! We’re grateful for all of their help, and our students will be as well. Young artists visited our “Make and Take” art table from 12-4 pm in the Workshop of the BOK Building open to all ages. The table featured small projects and coloring sheets for young artists to work on and take home with them. The Generosity of Our Sponsors Made Spring Sensational! 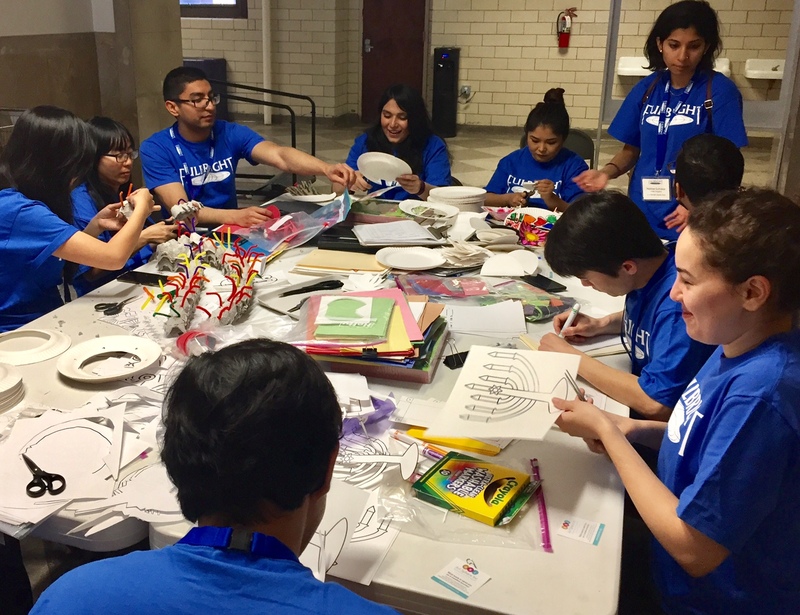 Over 80 Fulbright Scholars from around the world prepped art boxes and projects on Saturday, April 14th and Saturday, May 26th to benefit our programs and give art materials for our students to make art at home this summer. ASI rolled out the parachute fabric of murals started by students completed by Exude Inc.’s staff at their office on May 10th. 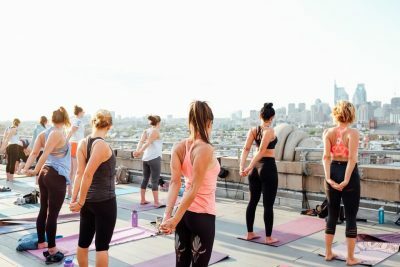 Honeygrow launched $5 Rooftop Yoga Series at Bok Bar with all the proceeds going to benefit Art Sphere. Read more at https://www.phillymag.com/be-well-philly/2018/04/18/honeygrow-bok-bar-yoga/ and watch the video of the event on our YouTube channel! We appreciate the generous support of our sponsors who make our meaningful art programing possible including: Penn Treaty Special Services District, Rosenlund Family Foundation, The Seybert Foundation, The Alfred and Mary Douty Foundation, Louis N. Cassett Foundation, Christopher Ludwick Foundation, The Philadelphia Cultural Fund, Greater Philadelphia Cultural Alliance and the Pennsylvania Council of the Arts. ASI thanks you for keeping connected to care! www.artsphere.org | Visit us on Facebook | Follow us on Twitter | Support us on GoFundMe! 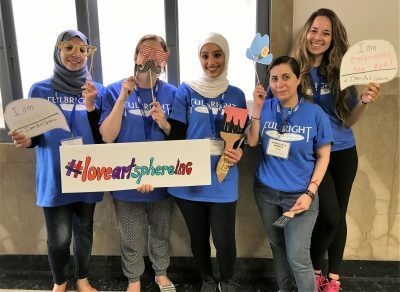 Share the post "ASI Summer 2018 Newsletter"